Welcome to my little blog. I started (then stopped, and now started) a blog on blogspot about baseball a while back, and now I am moving here to MLBlogs! I try to capture the joy of the game, the innocence of growing up collecting baseball cards, and just watching games as a fan. I can find myself flipping around multiple games in any one evening. While I prefer to listen to and watch the immortal Vin Scully, sadly he is on the west coast and I am on the east, and work precludes me from watching TOO many Dodger games, else I’ll be weary eyed at my desk! I will repost some old blog entries here, but for more fun, please visit all my old posts. I did a classic “Countdown to Christmas” first using players’ numbers of actual baseball cards that I had, then another that started with the year (i.e., 31 days to Christmas, what happened in baseball in 1931). Thanks for visiting, and on with the posts! When I was growing up in St. Petersburg, FL, and running cross country for the Northeast High Vikings, I ran countless laps around Crescent Lake both in practice and in meets. And although I was perpetually holding up the rear in practice and in meets, I sometimes would wonder about the baseball field on the south end of the park. Who practiced there? What’s the story behind this little park with a couple small sections of bleachers? Hey, back in the day, I had plenty of time to ponder this. Sure, I knew that Saturday Night Live filmed a classic (and the FIRST) Chico Escuela installment in the late 70’s there, with Bill Murray interviewing Ed Kranepool (whom this blog is dedicated to) about Chico’s new book, “Bad Things ‘Bout the Mets”, where Ed famously denied borrowing Chico’s soap and never returning it, or Yogi Berra being a “berry berry bad card player.” While YouTube won’t let me post it due to copyright rules, you can view it here. But mums the word…. shhhhh…. 🙂 But surely there’s more to the field previously known as Crescent Lake Field than just Ed, Bill Murray, and Chico! Waterfront Stadium (future home of Al Lang Field/Al Lang Stadium/Progress Energy Park). The Yankees called St. Petersburg home through 1950, with the exception of 1943-45 when travel restrictions were in place due to WWII. In fact, the Yankees were in the first game ever played in the newly remodeled and renamed Al Lang Field in the spring of 1947. 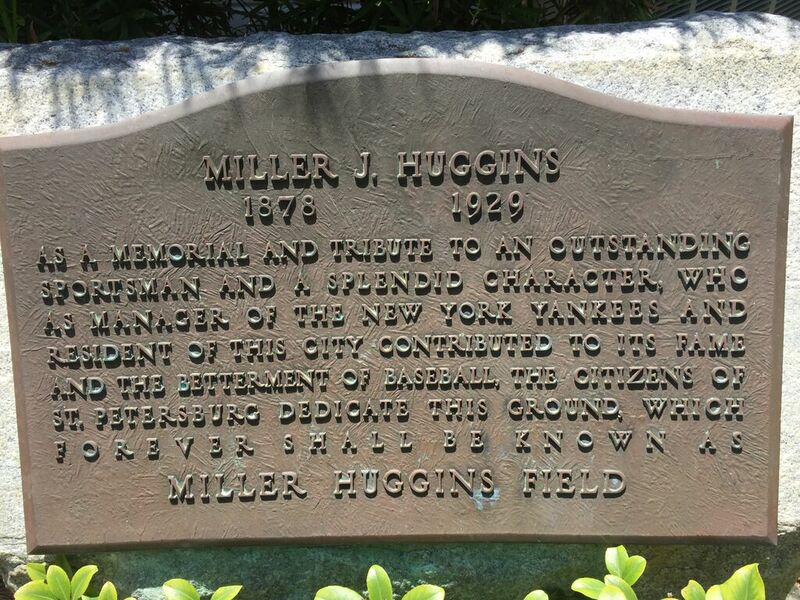 But that’s fodder for another post…..
Crescent Lake Field was renamed Miller Huggins Field in 1931, after long time manager Miller Huggins passed away in 1929. This clip from the early 30’s shows Ruth and Gehrig in FL, while this clip from the late 1930s shows the Yankees working out at Huggins field. Rumor also has it that at one point an alligator or two were sunning themselves on the shores of Crescent Lake, and some of the players refused to go to the outfield given the proximity of the alligators to the playing field! Welcome to Florida!! 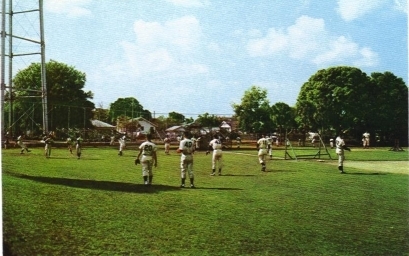 The Yan kees continued to train at Miller Huggins Field through 1961. 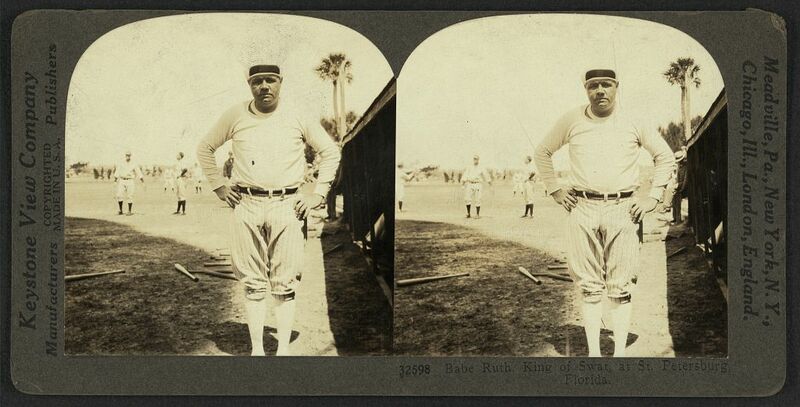 The likes of Yogi Berra, Mickey Mantle, and Joe DiMaggio graced the fields of St. Pete. Marylin Monroe even graced the stands during spring training! I have to find that bench! When the Yankees left in 1961, the new tenants were the expansion team New York Mets. 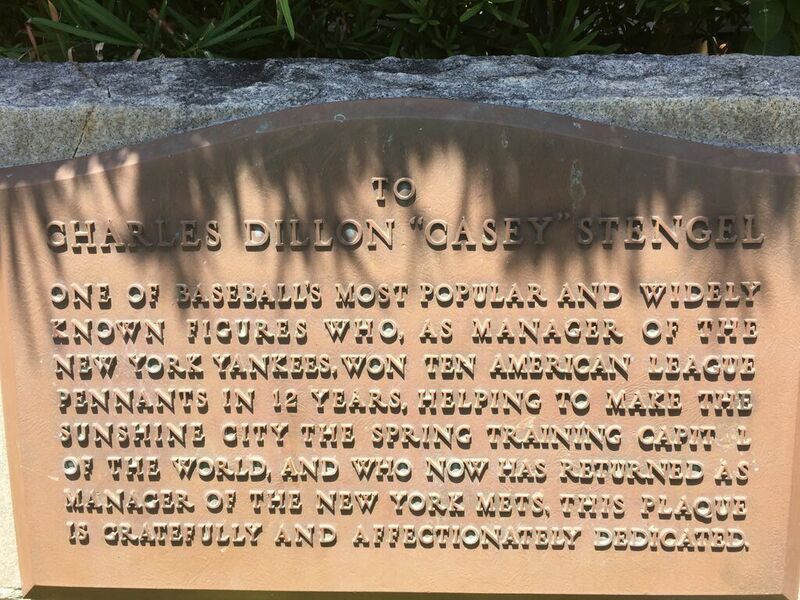 The Mets were under the tutelege of long time Yankees skipper Casey Stengel. The Metropolitans continued to train there until the Payson Complex was built in 1968. The Mets would hold their spring training games at Al Lang Field (later Stadium) with the St. Louis Cardinals. The next time Huggins-Stengel Field would hold spring training workouts would be for the Baltimore Orioles from 1992-95. 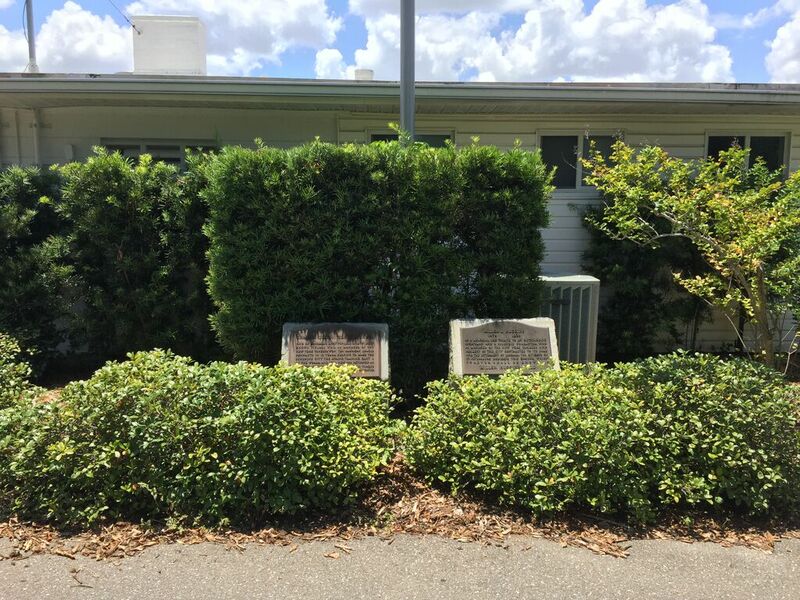 Two long time plaques are still in existence at the field honoring Miller Huggins and Casey Stengel. The next time you are driving around St. Pete, and long for a piece of long time baseball history, it’s worth a stop at Crescent Lake to see this hidden gem. Next Post Another Hidden Gem! !